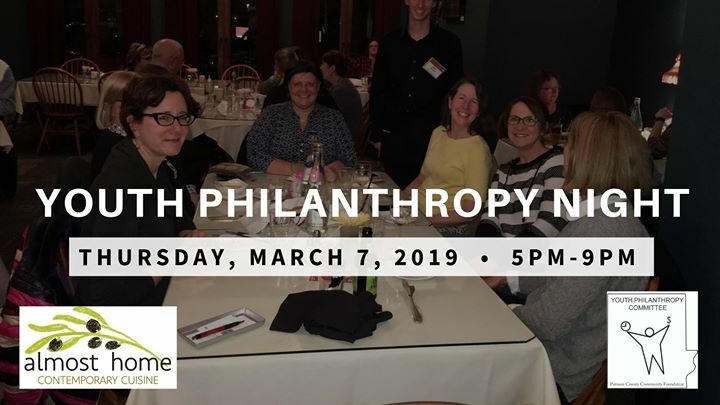 Almost Home will host the 11th annual Youth Philanthropy Night on Thursday, March 7, 2019 from 5pm-9pm. County High School students who are members of the Youth Philanthropy Group of the Putnam County Community Foundation will partner with our evening servers to raise money for their cause. All tips collected during this evening are donated to the Youth Philanthropy Committee. The event is a community favorite and completely fills the restaurant, so reserve your table today by giving us a call (765-653-5788) or visiting our website (www.almosthomerestaurant.com).